What bout guy who played with stirling albion u said about ? 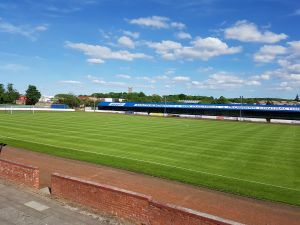 There is a difference between winding people up / banter and down right being disrespectful to other junior clubs as DL has been this season ,there is absolutely nothing wrong with being ambitious and wanting the best for your club ,and anytime we've been down to darvel we've been treated well ,but DL's comments turn alot of people off Darvel ,the proof is on here ,and would he not have been better letting Mick get on about his buusness queitly instead of shouting his mouth off bout next season already ? And gotw was it not your club that he said he'd rather have the toothache than visit jmp again ? Didn"t look like it to me from where i was standing or the several glens fans beside us ,but it's done now ,u play to the whistle The assistant on that side didn't exactly cover himself in glory the full game ,and i thought the ref was a bit iffy too ,dishing out yellow cards to easily ,it was a hard fought game but never dirty . 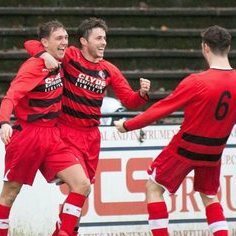 I'll only be back if we're playing the glens mate or we've no game ,my mrs family all watch the glens ,but your right theve a smashing team at the moment and deserve more support from the rutherglen public . Took in glens v rossvale yesterday as had family commitments in rutherglen ,good to take in game as a nuetral for a change ,1st 20mins was all rossvale culminating in them scoring a goal that amazingly the ref never gave ,it actualy hit the inside of the net ,i don't care if uve only one linesman he should be seeing that all day long ,after that the glens took over and scored two fine goals and deserved there win in the end ,but the goal that never was was a turning point in the game . Was a good hard but fair game ,spoiled by a ref who was well out his depth ,dishing out yellow cards in a game which was never dirty . After u telling me it should have been a draw at kilsyth ? Make your mind up ? What"s it to be ? It's the same nonsense off u every week ,could have ,should have ,would have ,if your team were as big as your gub u'd b champions by now ! The games that we've played Darvel they have been a decent side but nowhere near Glencairn or Benburb ,reserve my judgement about Rossvale as i was ill day we played them . 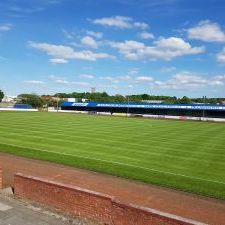 I think there's a fine line between ambition and stupidity money wise as team's like irvine meadow have found out to there cost .He can bum up his team all he want's but the real truth is theve just not been good enough !